"Plataforma madura para escribir programas completos." Hace aproximadamente 2 años, Microsoft anunció que una gran parte de los paquetes de Wow NET para servidores cercanos o para Azure es excepcional. Internet es el panel de manipulación que ayuda en gran medida a controlar y gestionar el aumento de los programas de red. Es mucho lo que sobresale en ASP.
. Por ejemplo, es probable que tenga SQL Server, simplemente porque es muy similar a mí. Me siento como compañías que mantienen con ASP Y, por lo general, los objetivos de Microsoft son más que diferentes regiones No siempre hay muchas cosas que no me gusten, pero A veces se cuelga y se reinicia una y otra vez. Capaz de aplicar en múltiples sistemas. Podría recomendar escribir sistemas extremadamente complicados en más de un marco y pasearlos en producción durante un par de meses para evaluar los gastos generales de desarrollo no más efectivos, pero los gastos operativos y de mantenimiento de cada uno. La red se basa totalmente en la red efectiva de Microsoft debido al hecho de que otros la usan. Es muy bueno para el desarrollo de aplicaciones de red con muchas funciones que atraen al desarrollador, además de a los clientes, para aplicar ASP. "I like the tool but is not THE TOOL"
I'm not expert in web programing but i think is a good start point . In the internet is a lot of papers and manuals to start using asp.net . Also is free version of the IDE , i think is call Express . The feature i find most usefull was all the objects where there , just with a few clicks it gets done my screen. If you are a front end developer is not for you , it gets the job done but is really ugly , comparing with other IDE that are no so simple but yes in the user interface . Also is not that easy to integrate with other server than IIS , you have tu ise another tricks to get the page working outside IIS. "Is getting behind from other web tecnologies"
What i like in all the microsoft tool is how easy to find the component , hoy easy is to work with the entire tool , the wizards are really helpfull when you are starting o yo do not want to spent time coding for a simple aplications just to test something.Also is pretty confortable for the developers to use the framework and don't need to think about the need of other classes and objetc , also the way to use the xml for web services is so much more complete than other language , you jus have to focus on the code and your logic . In this case is getting behind a lot , other IDEs are third party components friendly and working pretty agile in any machine , with ASP.NET now is really heavy to work and develop a pretty simple web get really big , other that for me a is a huge minus is that the front end is really poor , and other ides has much more to offer in this particular case. Also work with IIS native but if you have other tipe of server you have to implement a few tricks to get it to work. Beside the fact that all the wizards help you writing code , somete time the final result turns really heavy for something that shuold be simple , i think microsft should focus in how to optimize the code generator. Because how is try work only with his tools is only functional when you have Microsoft tools or a infrasctructure base on 80 % microsoft tools , otherwise is going to have problems with compatibility. "Easy to work and understand"
Work with windows mobile devices and other data base rather than SQL SERVER. is a good tool for developers that are starting and needs a development tool . Anyway several years forward my employer just gave me the go head and has been allowing me to train developing in ASP.Net this last week. Wow!! I absolutely love it... I can't wait until I am familiar enough with the platform to start breaking out projects without much thought but you guys have done an outstanding job bringing all the different technologies together. The only thing I wish you had was the WYSIWYG form builder. I know Microsoft Access and WinForms has spoiled us in this fashion.... but this is truly every desktop developers desire to be able to drop you controls in place and set properties likewise! I think most people are like me and do not immediately make the switch because of the learning curve involved. But if you have an proficient knowledge of web development in general the switch isn't that bad. The MVC part is a little bit of a learning process... but I've seen PHP file formats just as thought provoking... I mean consider WordPress! Well up until a few months ago I was a consultant... so just about any problem you could think of. I've recently took an offer from a manufacturing company and it all revolves around our product..
Benefits? Love the package manager! This of course isn't new as a .Net developer but when you bring that ease into Web Development it brings a whole new level of ease. "ASP.NET - decent web framework"
Currently almost all stack of asp.net is open-source, so it's allows much better tweaking and hacking you tools to optimize it for certain tasks. It's much easier to setup compared to many other web frameworks. And there is not alternatives for .NET. I don't remember any task i wasn't able to do with asp.net (and which can be done with other framework). You can do development for asp.net inside Visual Studio, which is best (or at least one of the best) IDE with huge number of features, and it has a lot of 3rd party extensions/tools. Nuget has a lot packages/libraries with easy setup/dependency resolve. A lot of templates and services/apis out of box. It allows overload almost any part of the internal system. Quite good documentation on MSDN. For hosting you need windows (mono under linux has some limitations, and it sometimes requires a lot of additional work on platform specific bugs and initial setup). it less convenient compared to java websites, so sometimes it harder to find developers. MUCH less open-source projects. Especially in phase of active development. And generally Microsoft targets enterprise more than other areas. If you choose asp.net, probably you will be bound to a lot of other Microsoft components, so you will not be able change your platform after some point. For example, you will probably you SQL Server, just because it's very compatible with .net. Costs of some development tools are astonishing. is there enough asp.net developers in my area (if you are going to run it department on your own)? benefits from ms compared to other vendors? Developing and running our site, which is currently main part of our business. ASP.NET offers extended number of features. "Mature platform for writing complete applications"
It's so much that stands out in ASP.NET compared to other platforms... Security is great. ASP.NET comes with libraries that handle for you most sensitive parts of your application like Membership classes, authentication. The big feature of ASP.NET is the language - C# is backed by Microsoft and is one of the best programming languages out there. You can of course you asynchronous programming in ASP.NET. ASP.NET MVC projects follow Convention over Configuration principle so they come with great structure for your projects. Also, ASP.NET has WebAPI support built-in which means you can easily create REST APIs that output and accept JSON. When you work on Windows then you experience another great benefit of working with ASP.NET - Visual Studio editor. It's the best programming IDE and it lets you focus on writing application's logic instead of fighting editor or debugging silly mistakes that could have been avoided. C# performance isn't as good as C++. I guess that's the one of downsides. Also, ASP.NET support on Linux isn't yet complete, so hosting very complicated large-scale apps directly under Linux operating system is still a risk that application won't be stable or won't run. ASP.NET is one of the best platforms for creating web applications. You can definitely use if you need to create REST API for your product or just want to follow more traditional approach and just use it to serve HTML pages. I've used ASP.NET in many applications. It's complete framework. Security for crucial and common parts of project is there so you save time and avoid possible mistakes. "What can be better in Asp.Net"
"Good platform, going in right direction"
With ASP.NET I can write my code-behind in C#. This is a strong-typed language, with whom I develop better. It has good performance as it is pre-compiled (better than script-only languages). With "vNext" version (previously know as ASP.NET v5, now known as ASP.NET Core v1.0) it will be open source and platform indipendent, wich means it will be possible to run an ASP.NET web app over a Linux Server, gathering even better performances (Linux Server are actually faster than Windows ones). As for long time it required a Windows Server (and Visual Studio aswell) which is expensive, Open Source world mostly used PHP. So most frameworks and CMS are for that programming language, while only few companies require it. Same thing regarding tutorials, helps and guides: as it is a "niche" product, you won't find over the net the help you need as easy as for other very used languages, which may slower your developing. As a part of .NET framework ecosystem, it will be shortly open source (and than free). Keep in mind that most free server only support PHP and still will for a long time, so if you are looking for ASP.NET as an alternative to PHP, it's not (yet) a good idea, while it may be in future. If, on the other hand, you are looking into ASP.NET as an alternative to a Java system, than it may be a great solution. I use ASP.NET when a customer need a completely custom solution for his web app, when he ask for a Windows Stack, or when it's more time-critical than other script-only solution (as PHP). "I have started my career Dotnet - ASP.net developer"
While using only server side controls we can get the slow loading in our application.Other it provides more reliable to create the web application.Overall awesome. From the beginning we have challenging to get the image pixel for validate the form.And provide better security and it provides multiple option to do the task. 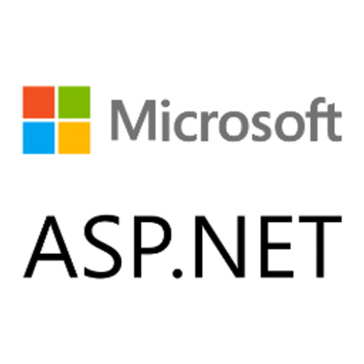 ASP.Net is designed for web development to produce dynamic web pages. ASP.NET is an open-source server-side web application framework. ASP.NET now is really heavy to work. it only works well and smooth with Microsoft tools , using it with real live environment is not that great. It less convenient compared to java websites. The MVC part is a learning process that is exciting and good to learn. "2 years experience ASP.NET developer"
ASP.NET is best platform to start being software developer, it was pleasure to work with it. We basically build websites for corporate sector, our company was certified windows reseller, and we also developed websites with devexpress, the main goal of company was to product high quality product for customers and long term support, ideally we build our products in a very large amount of time, to make all the tests, predictions, horizontal expansions, etc. I like asp.Net because multiple developers can work on the same project using different languages such as VB. Net or c#. Also, it is easy to use because of its drag and drop functionalities. Asp.net uses more Web server resources than others and it is expensive for small companies. It is helpful for builting softwares using VB.Net and c#. It provides flexibility and object oriented features. ASP.NET is an excellent framework for building web applications in a Windows environment. About 2 years ago, Microsoft announced that a large part of .NET was going to be open sourced. This was huge. In fact, I had moved away from .NET to work in jvm-based languages and this announcement brought me back to .NET. I also like the amount of tools that are readily available to ASP.NET, including MVC, WebForms, Web API, and Entity Framework. The ease with which you can deploy ASP.NET applications to local servers or to Azure is great. The thing I dislike the most about ASP.NET is how RAD Microsoft has been trying to make software development (RAD stands for "Rapid Application Development"). This is both a good thing and a bad thing. It's a good thing in that developers can throw together an application quickly using Visual Studio, and almost anyone can maintain that application by pointing, clicking, and editing visual components in the IDE. This simplification of software development allows for a lot of very inexperienced developers to work within applications without much complexity. The reason this is a problem is that such developers can go for years, literally, without progressing past this point. I once interviewed someone with 10 years of experience for a senior level position, and because of Microsoft's good intentions, he didn't know advanced topics like reflection or modifying the ASP.NET pipeline. You'll see this a lot in the .NET community, and it leads to a lot of unnecessary software maintenance overhead as well as operations overhead. Speaking of overhead, prior to the current open source shift by Microsoft, ASP.NET mostly required deployment to Windows servers. This requires often hefty licenses. It's been possible for some time to deploy to Linux or OS X Server using Mono, but there have always been subtle differences between Mono and Microsoft .NET which made this deployment scenario a pain. Another thing that gets me about ASP.NET and .NET in general is how the frameworks are versioned. You'll have ASP.NET 4, which can run on .NET 3.5 or the many versions of 4.x. The version of ASP.NET being out of sync with the .NET runtime has always been a confusion for a lot of developers. To further versioning confusion, Microsoft's new approach to ASP.NET (call it ASP.NET 5) will run on .NET 4.5.x and the new open source '.NET Core'. Microsoft recently created a matrix (https://github.com/dotnet/corefx/blob/master/Documentation/project-docs/standard-platform.md) to address any versioning confusion. To further add to the mix, there's currently discussion to rename ASP.NET 5 to ASP.NET 1.0. On top of this versioning craziness, the new ASP.NET is written for engineers (e.g. those who: can write libraries/modules/SDKs, understand dependency injection and abstractions very well, can learn new tools quickly) rather than developers (e.g. those who use libraries and frameworks to create applications). I feel like companies who continue with ASP.NET will sorely discover this abrupt shift from RAD focus back to software as a science and an art. In other words, there will be a steeper divide between "rockstars" and "noobs". If you're not already using ASP.NET, check out jvm based language alternatives such as Play or Scalatra. Also evaluate NancyFX. Don't just choose ASP.NET because others use it. I would recommend writing somewhat complex systems in multiple frameworks and running them in production for a couple of months to evaluate not only development overhead, but operational and maintenance overhead of each. Software as a service web applications, APIs, and services. ASP.NET allows for easy development, testing, static analysis, and deployment of enterprise level applications. "Great software for Great Developers." I use ASP.net to build web applications using Web Forms, Web API and Signal. The best thing I like about ASP.net is the control panel which help a lot to manage and control the build up of web applications. Other thing is if you are a developer or expert on C# this is the best software for you. if you are not then you might want to learn more about C# because it comes a lot handy for this application. I would love if ASP.net can give more details every time there's an error while i'm building my web. It's nice that it shows that there's error but it can be more helpful if it said what exactly the problem is. I recommend it to anybody in business world. I used ASP.net to replace one of my Microsoft access databases so other my team workers can use it in friendly-use. It took me a lot of time to build the web and make sure that it has all functions and feature that needed to work properly. But at the end it did save a lot of time and money. "Best web framework for building web applications with great Visual Studio IDE"
1- Visual Studio IDE wich is the best IDE in the market. 2- Using the powerfull .Net Framework Libraries. 3- Can use VB.Net or C# Languages in development. 4- Tons Of libraries and open source projects and methodologies that help in development. 5- Tons of books for learning and self training. 6- Using some helpful design patterns like MVC and DI. Some advanced tools and UI libraries need to purchase it. I recommend to work with Asp.Net Core 1.0 because it's open source and cross platform framework. Asp.net MVC help to develop web applications with design patterns and best practices. "ASP.NET - great for web applications"
ASP.NET is a great, highly adopted platform so there are many developers out there that have the skills necessary to build and maintain an application. The fact that Microsoft is making .NET Core open source and runnable on Linux and Mac will only increase adoption. The free IDE tools that Microsoft provide, including Visual Studio, the numerous plugins available make it easy to develop web applications using ASP.NET. The ability to build applications using your language of choice is also very appealing. ASP.NET webforms will not be open sourced, so that will still be closed technology. Our organization uses ASP.NET as a rapid development tool to build applications quickly and easily with our existing skillset. Although we build using C#, the flexibility of using VB.NET is very helpful. With ASP.NET MVC, our applications take advantage of current software design patterns and are fast, scalable, and reliable. It is open source developed by Microsoft. Can be used on cross platform developments. Have vast library of built in Api’s and plugins. There is nothing about this that I don’t like. Developed various applications for clients. Net profit of the company increased by a good margin. Asp.net is an very good framework for building web applications in a window environment. Lots of tools available to asp.net like mvc, rest, wcf, etc. We can deploy application easily to azure using ms cloud as well. Moreover it supports so many languages. Its very easy and helpful tool. There is not so much that i don't like about it but sometime it hangs and restarts again and again. Asp.net has variety of tools and services available for different scenarios, so you need to explore and look for the right tool. I use asp.net for developing web applications for variety of customers in diffferent domains and Its a great tool to do that. Its very easy to use as drag and drop controls are there. So very less coding required for web application development. they have many inbuilt templates which are very helpful for beginner to start. There is nothing to dislike from my side. Its very good fro web application development with many feature that attract developer as well as clients to use ASP.net to develop applications. "Great for midsized business needs"
Has its place in the Microsoft stack, reliable and well featured. It's expensive, it's statically typed, it's closed, and it's not dynamic. Hosting a payment processing system as well as our company website. Able to make apps for multiple platforms, nuget plugins are very helpful. Creating finance tools and applications. Able to use on multiple platforms. * We monitor all ASP.NET reviews to prevent fraudulent reviews and keep review quality high. We do not post reviews by company employees or direct competitors. Validated reviews require the user to submit a screenshot of the product containing their user ID, in order to verify a user is an actual user of the product. Hi there! Are you looking to implement a solution like ASP.NET?